It is no reminder that this is the month of love. The month to prove that your other half has not been dating/married to themselves. The month to rekindle old flames and the month to sprinkle additive to the already lighting candles of love. The very perfect time to treat your loved one to a romantic dinner out of your home. 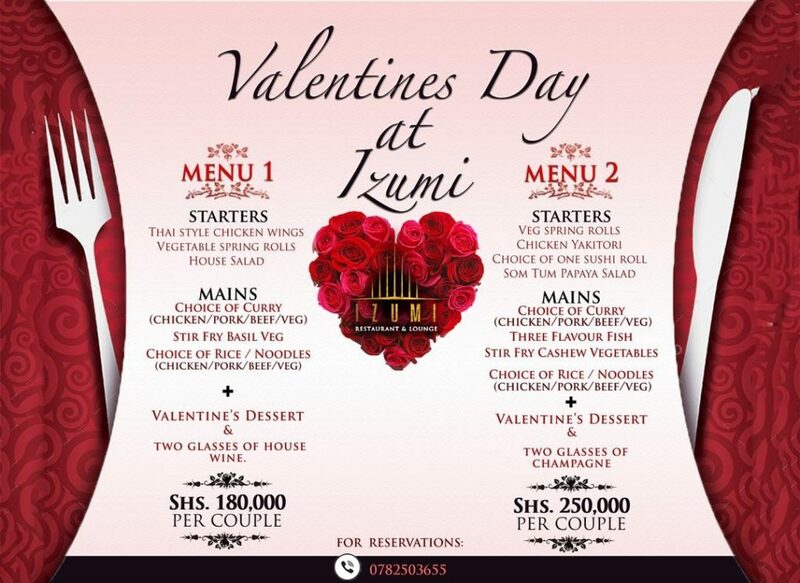 Due to its natural romantic setup and lighting, it’s always valentines at Izumi restaurant; but this time round, it is here to serve you an unforgettable experience of love. 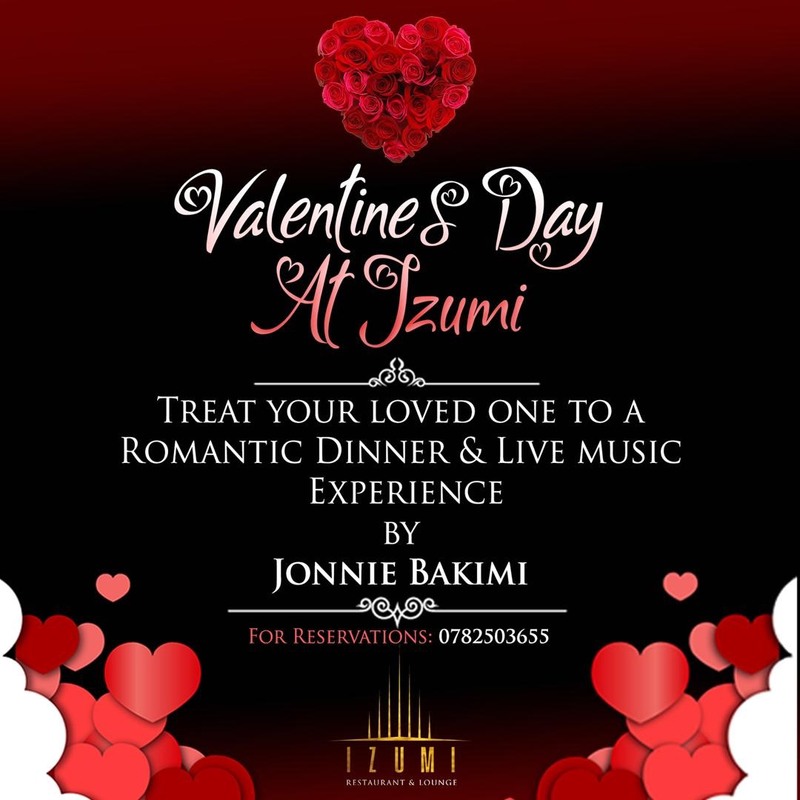 Jonnie Bakimi, a singer and guitarist shall be serenading the crowd with love ballads all night long in what is a live music experience. What is a date with live music but no food? 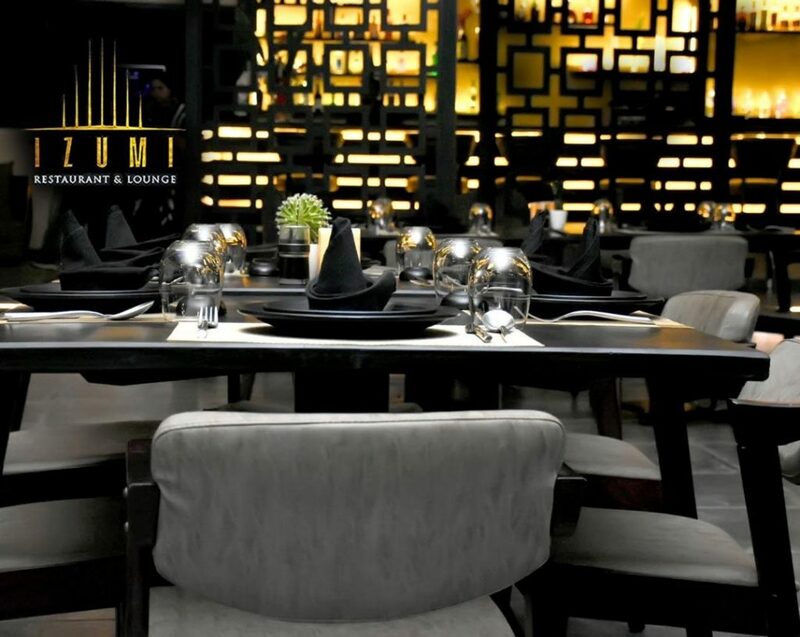 Izumi will be serving delicious Pan-Asian cuisines. The menu is designed to cater for couples at an extremely friendly cost in what is split as starters, mains and desserts.